Although the terms decubitus ulcer, bedsores, and pressure ulcer have been historically used interchangeably, in 2016, the National Pressure Advisory Panel (NPUAP) modified and re-adapted the terminology associated with decubitus or pressure ulcers and these ulcers are now appropriately termed clinically as pressure injuries. Healthcare organizations have long acknowledged that pressure injuries are a major cause of pain, negatively affecting patient quality of life and a burden on healthcare resources. Nuru, Zewdu, Amsalu and Mehretie (2015) state "pressure injuries have been described as one of the most costly and physically debilitating complications since the 20th century. The pain and discomfort due to pressure injuries prolong illness, rehabilitation, time of discharge and even contribute to disability and death," . The NPUAP defines pressure injuries as "localized damage to the skin and/or underlying soft tissue usually over a bony prominence or related to medical or other devices. The injury can present as intact skin or an open ulcer and may be painful. The injury occurs as a result of intense and/or prolonged pressure or pressure in combination with shear. The tolerance of soft tissue for pressure and shear may also be affected by microclimate, nutrition, perfusion, co-morbidities, and condition of the soft tissue," . 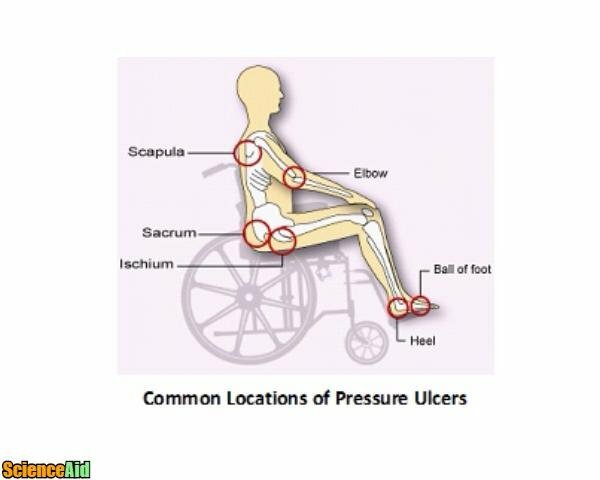 A Pressure Ulcer is an injury to the skin and underlying tissue caused by any one, or all three of the following: Pressure, shear, or friction. A sacral pressure injury is located on the sacrum region. The sacrum is "at the bottom of the spine and lies between the fifth lumbar segment and the coccyx (tailbone). 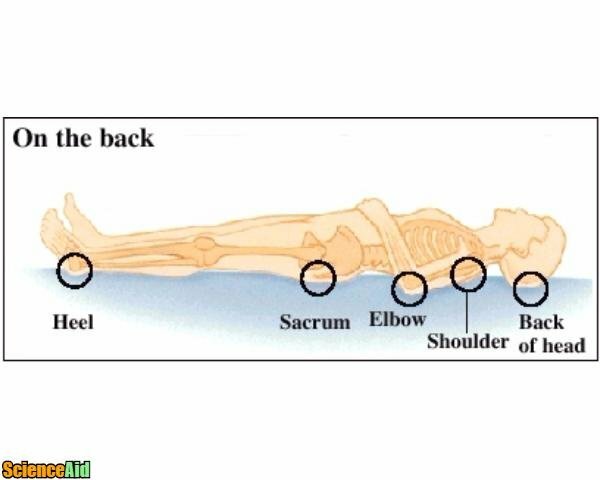 The sacrum is a triangular-shaped bone and consists of five segments (S1 - S5) that are fused together," . A sacral pressure injury is common in patients who place a lot of pressure or weight on the sacral region without repositioning. Friction or shearing. These are caused by assistant movements across a bed or surface. Immobility. Pressure injuries can develop on the sacrum in patients who are immobile and confined to bed or wheelchairs and do not reposition intermittently. Patients who are nutritionally compromised. Adequate amounts of protein are important to maintain skin integrity. Patients who do not receive an adequate amount of protein are at higher risk for skin breakdown including pressure injuries. Patients who are incontinent. Moisture caused by urine and feces can cause the fragile skin to break down and cause an injury. Older patients. As we age, our skin changes and becomes more fragile, making skin breakdown more prevalent. Loss of Sensation. Spinal cord injuries and other conditions can result in a loss of sensation by the patient. This loss creates an inability to feel or recognize pain or discomfort. Without being able to recognize pain or discomfort patients are unable to change position as necessary. Clinicians utilize the NPUAP staging system to stage pressure injuries. 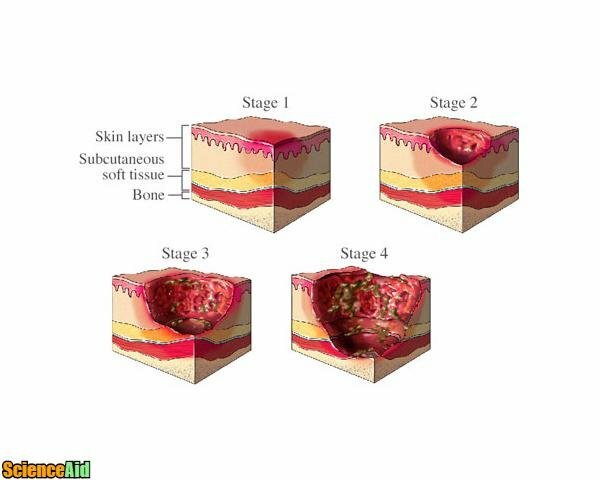 The skin is made up of seven layers. Each stage of a pressure ulcer affects a different layer. Intact skin with a localized area of non-blanchable erythema . Partial-thickness loss of skin with exposed dermis. The wound bed is viable, pink or red, moist, and may also present as an intact or ruptured serum-filled blister. .
Full-thickness loss of skin, in which adipose (fat) is visible in the ulcer and granulation tissue and epibole (rolled wound edges) are often present. Slough and/or eschar may be visible. .
Full-thickness skin and tissue loss with exposed or directly palpable fascia, muscle, tendon, ligament, cartilage or bone in the ulcer. Slough and/or eschar may be visible. .
Full-thickness skin and tissue loss in which the extent of tissue damage within the ulcer cannot be confirmed because it is obscured by slough or eschar. . Intact or non-intact skin with localized area of persistent non-blanchable deep red, maroon, purple discoloration or epidermal separation revealing a dark wound bed or blood filled blister. .
Because pressure injuries are caused by increased pressure, the first and BEST treatment and prevention for any pressure ulcer is to RELIEVE THE PRESSURE. There are a number of ways to do this but because of the location of sacral injuries, repositioning and support surfaces generally used to relieve the pressure. 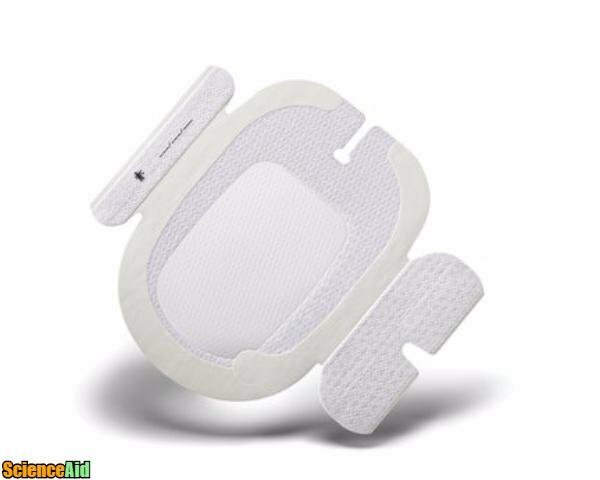 Support surfaces include special cushions, mattresses, heel boots & pillows. Support surfaces are usually made out of foam, air, or gel technology. These surfaces will help to reduce pressure. A turning schedule is often used to remind patients at risk for developing a sacral injury to turn at specific times. This schedule will notify you when it is time to change position. Protein is the most important nutrient for your skin to prevent the formation of an injury and help heal an injury. People that don't get enough protein, or have an unbalanced diet, might be given a supplement. In the past, non-advanced dressings such as gauze were used to manage wounds. However, because of research and technological advancements, advanced dressings are recommended in the management of sacral injuries. Non-advanced dressings such a gauze, do not create an optimal wound environment for healing. A moist wound environment is a best and quickest way to heal a wound. Advanced dressings are chosen based on the amount of exudate in the wound. Advanced dressings may also contain antimicrobial properties to treat or prevent infection. Advanced dressings are formulated to stay on the wound as long as possible. 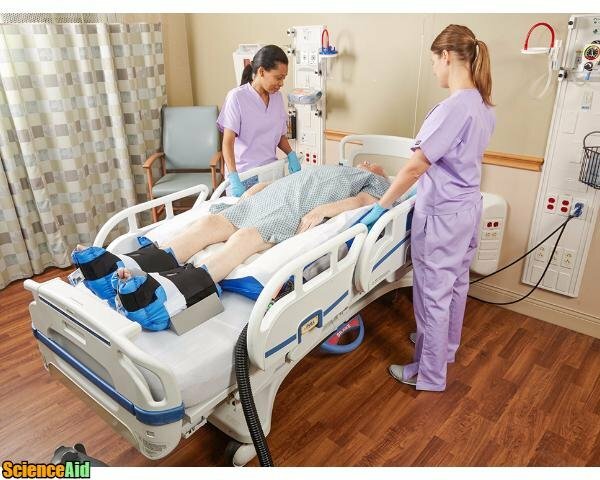 Decreasing the frequency of dressing changes is important to create the optimal healing environment, keep the wound clean and prevent disruption of the wound bed. MLA (Modern Language Association) "Sacral Decubitus Ulcer." ScienceAid, scienceaid.net/Sacral_Decubitus_Ulcer Accessed 23 Apr 2019. Chicago / Turabian ScienceAid.net. "Sacral Decubitus Ulcer." Accessed Apr 23, 2019. https://scienceaid.net/Sacral_Decubitus_Ulcer. ↑ Nightingale F. Notes on nursing Philadelphia: Lippincott; p. 1859.